Smart Puppy ® is a smart tag to hang on your dog's collar. Set a security zone around you. 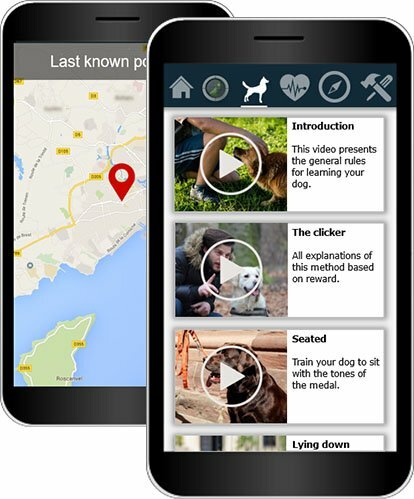 A notification will let you know if your dog is coming out of it and you will be able to determine its position. 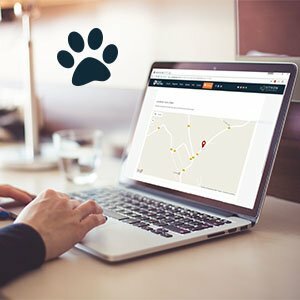 If your dog goes too far, ask the community for help finding it. When a member is close to your dog, you are notified of his location. 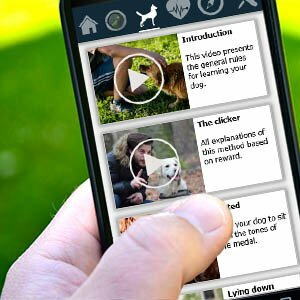 Strengthen the relationship you have with your dog through effective training techniques available on our application. 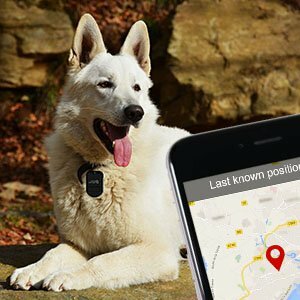 With the Smart Puppy tag, you no longer need to run after your dog. It will be able to take full advantage of his freedom, and you will be able to locate it in case of need. Result: a happy owner and a happy dog. “My dog is my companion, he shares my life and that of the whole family. We want the best for him so that he is as happy as we are in his company. Thanks to the smart pet tag we are reassured on a daily basis about its proximity and its security.” Katherine, 36 years old. Like most pets, dogs usually live with a clearly determined routine with which they feel comfortable. This regular rhythm, which varies from one home to another, determines the animal's daily life and its well-being. Thus, when a change of family home is taking place, the dog's routines will be upset and the stress it places on him may make him react in strange ways. The dog will be anxious, won't understand what's going on and may even be worrying if he's going to see his master again. Later on, the stress might cause problems with the dog's obedience especially once the move to a new home has been made. In an attempt to avoid these issues it's always advisable to do some advance preparation. Keep the dog away from the bustle of packing by making it comfortable in an already emptied room leaving him with just his bed, some water, a couple of bones and his favorite toys. Once these precautions have been made, then it will be necessary to think about training the dog so that a change of environment doesn't unduly disrupt his behavior. This training should take the same course that would be followed for any change occurring in the home, such as the arrival of a new family member. Everyone will benefit if the changes in a dog's living environment are preceded and followed by a few well-chosen training strategies.